Confirm a Kill are a leading pest control specialist covering Nottingham and the surrounding area. We are members of both Prompt and NPTA and all our work is fully guaranteed to provide you with total peace of mind. We have over 25 years’ experience dealing with unwanted pests and our discreet and professional service is used by both homeowners and businesses across the county. All of our pest control services, including Mole Control, start with a free, no-obligation assessment. Once we understand the issue we will then provide a competitive quote which is covered by our price match promise. This guarantees you the lowest price for the work. If you should find a like for like service that is cheaper then we will happily match it. 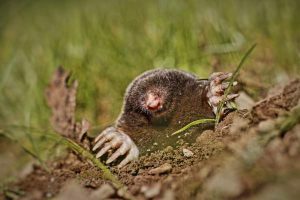 We provide a complete mole control service which provides an effective, safe and humane solution to the issues this pest can cause. For environmental reasons, our preferred method of mole control is trapping. This removes the possibility of causing any problems to non-target species and wildlife. The control of moles by trapping can be time intensive as mole traps will have to be visited at least once a day. This method is however highly efficient and is the preferred option, widely used by professionals, to ensure the best results. Unlike many of the common pests found in the UK today such as Rats, Grey Squirrels and Cockroaches, Moles are a native species to these shores. There are estimated to be between 35-40 million moles in the UK. They are the only mammal that is able to spend all there time living underground and this is made possible by their high concentration of red blood cells. This enables them to survive in the low oxygen environment. There is a popular misconception that moles are blind and deaf. In fact, they have both eyes and ears but they are very small to protect them from being damaged or blocked up during tunnelling. Mole’s can see but they are unable to detect colours. They are only able to make out light from dark and movement. The commonly known fact that is correct about moles is their impressive ability to dig. A single mole can tunnel up to 200 meters per day and will spend roughly 12 hours of each of its day tunnelling. They tend to work in a shift pattern, digging for 4 hours then resting for 4 hours. If a mole was human size they would be able to move 12 tonnes of soil per hour, with their bare hands! Their primary reason for digging is to search for food. Each mole has to eat it’s own body weight daily to survive. They mainly feed on earthworms but will also eat other insects such as beetles and on occasion baby mice or shrews. Moles do not hibernate and tend to be active all year round. They are more noticeable to humans in the winter and early spring when they will be digging closer to the surface. In summer, as the ground becomes drier and harder, they will head downwards to moister soil. They breed in early spring between the months of March and May. Typically a mole will have 1 to 2 litters per year with each litter containing 4 to 6 young. They remain with their parents for only two months before they become independent. Outside of the mating season Moles are solitary creatures remaining in their own tunnelling systems. The obvious issue caused by Moles is the damage done to lawns and flower beds from molehills. They can also tunnel straight through stems and roots which can harm, and in some cases, kill plants. Moles do however bring some benefits to gardeners. They aerate the soil and tend to eat grubs and insects that could otherwise do harm to your grass and plants. They also provide a free source of fertiliser for your garden. It’s therefore worth considering these plus points before deciding on a course of action. It’s also worth noting that Moles are not known to pose a health risk to humans. They may carry rabies in some instances. However, as there is so little contact between moles and humans there are no documented cases of humans catching the disease from moles. A quick search online will provide you with lots of DIY suggestions for deterring or removing moles from your garden. These include using broken glass or pottery or placing razor blades in their tunnels. Other suggestions are the use of thorny plants or frightening devices children’s windmills or whistling bottles. In reality, most of these are ineffective with the deterrent often being far more unpleasant than the mole you’re trying to deter. The only truly effective solution to removing a mole problem is to enlist the help of a professional. 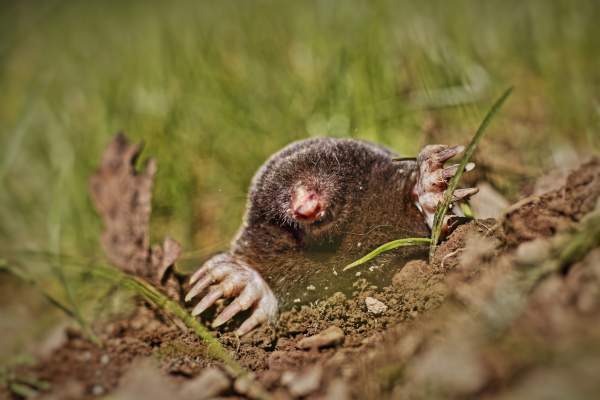 At Confirm a Kill we have many years’ experience dealing with unwanted moles. Our pest control professionals will, first of all, establish the scale of your problem. As moles can tunnel for several hundred meters their tunnel network can be extensive. 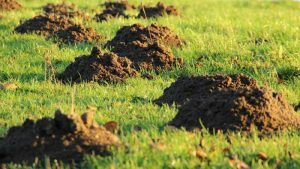 This may mean that the moles are active under more than just your property. We may, therefore, need co-operation from your neighbours to carry out an effective treatment. Once we understand the level of infestation we can put a plan in place and set the necessary traps to eradicate the issue. All our work is guaranteed and so you can rest assured that we will deal with your pest problems. If you have a mole problem or suspect you may have an issue then we are here to help. Please get in touch and we will be happy to carry out a free of charge inspection and recommend a course of treatment. If you think that you have a problem with moles then get in touch with us for a free, no obligation quote.